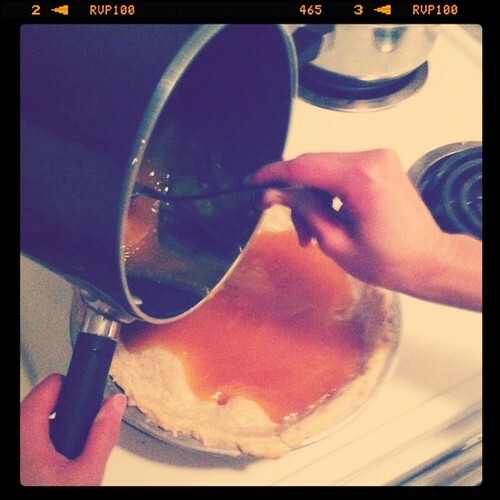 Here are some Instagram photos from Convince Jackie To Make Us A Pie Night, using various old-timey filters so you can not tell what decade this happened in. ... It happened a couple weeks ago. 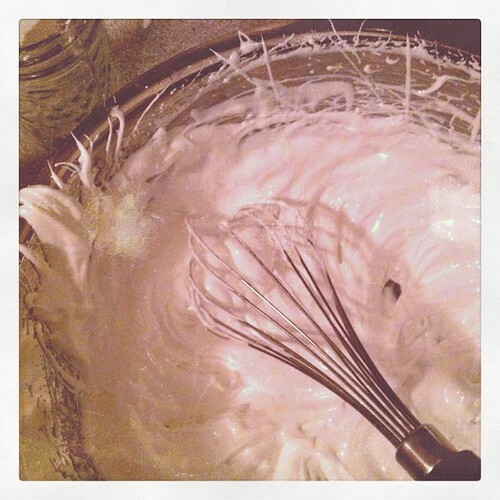 I decided to show Jackie how it's done with the whipping of the meringue. 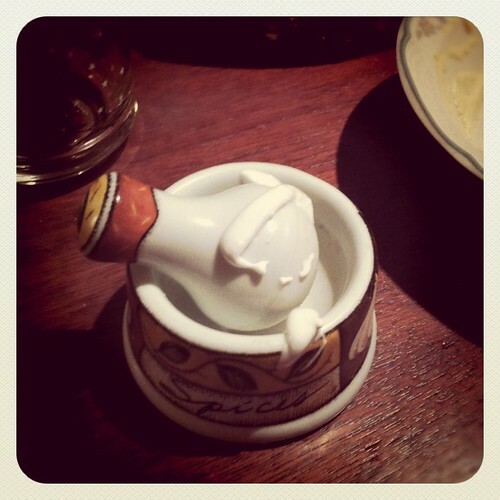 Except that what got done was a mild splattering of egg whites all over the walls and various kitchen things. Pre-oven pie. 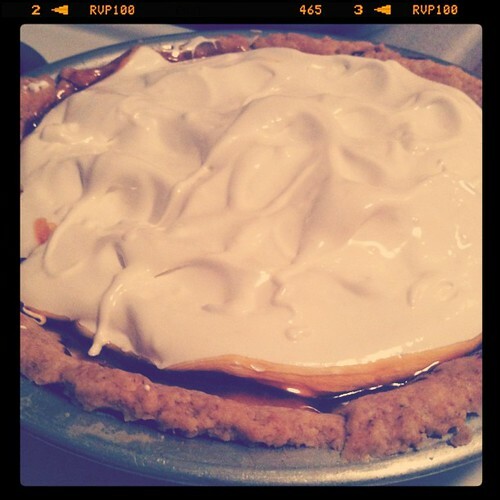 I suppose I should point out, if it is not yet clear, that the pie in question is of the Lemon Meringue variety. 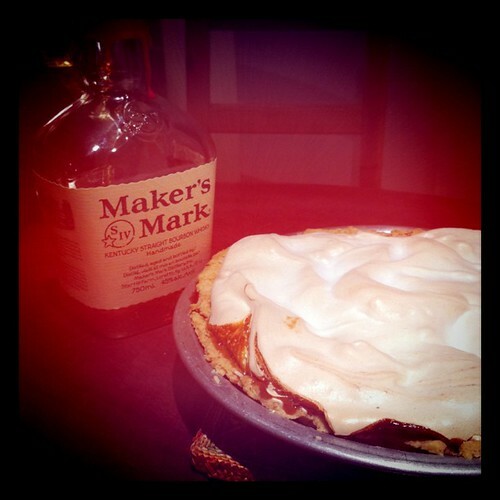 A post-oven pie reclines with a bottle of Maker's Mark (my contribution to the evening). 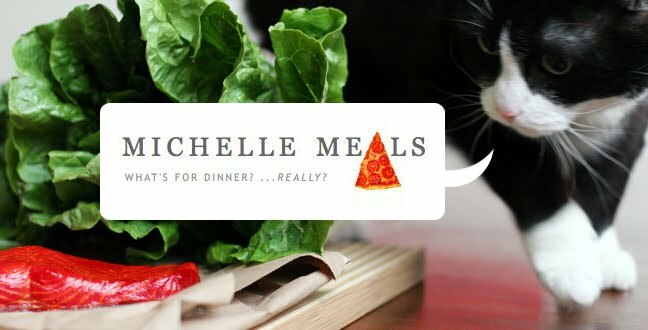 Delicious food times! By the way this event came into existence through the combination of a blog comment and the Facebook Events feature. Know that if you comment on my blog, it may very well get turned into an event. So. Comment away people! The meringue was really fluffy, it turned out so well. mmmm. What a fun night. Thank you Jesse for letting us invade your apartment kitchen and not minding when we had a meringue explosion. I was reminded that night of a popular girl clique at my high school called "The Pie Girls." They dressed up in matching pie costumes at Halloween. Lemon Meringue was the nicest pie girl, I thought. I'd like to suggest that our next pie night be in the summer, with nectarines and blueberries in a lattice crust. That is a specialty of mine that you should come over for. YES YES YES! To more pies. 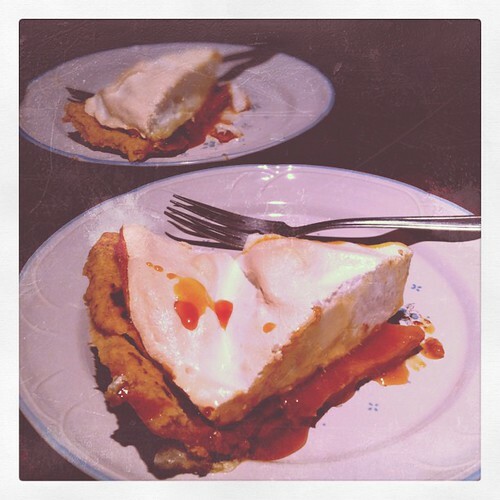 Perhaps I will make a savory pie to accompany your nectarine blueberry pie, and we can turn it into a Festival of Pies. With mini pie appetizers.